There’s fun a-plenty to be had next Sunday (15th July) with the club championship’s at Honiton Triathlon, followed by a club barbecue. We’ve kindly been granted permission to hold the barbecue in the grounds of the triathlon HQ (Honiton Rugby Football Club) so no extra travelling required! 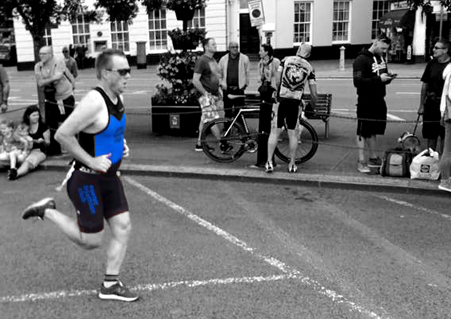 If you’ve made an error of judgement and are competing at Bideford Triathlon instead on Sunday, there’s plenty of time to hot-foot it to Honiton and join the rest of the club for social shenanigans once you’ve crossed the Bideford finish line. We will have two large barbecues (one courtesy of Dan James) but will need a few more so if you have an easily transportable barbecue please bring it along. You will also need something to cook (i.e. food) and something to drink. Barbecues inevitably produce waste so please be responsible about the levels of plastic and packaging, and try to bring re-usable items and paper plates/cups etc. where possible. There are hundreds (?) of club members competing at Honiton and lots of ETC supporters coming along so it’s bound to be a great day. This barbecue is for all club members (including juniors and those not competing on the day) and partners/families. Apparently there are other sporting events happening on Sunday so we’ll ensure everything is done and dusted long before 4pm. Coach Rob Libby’s recent “mishap” required Devon Air Ambulance and Rob has suggested a collection for the charity which will take place at the barbecue for those who would like to contribute. Don’t forget Becky’s Ride, Sunday 5th August.